It's an easy recommendation at this price. While it may be overshadowed by the Google Pixel 3 and iPhone XR, the LG V40 is a great phone with some truly excellent features. It’s got a glorious 6.4-inch OLED screen, a top-of-the-line Snapdragon 845 processor, 64GB of storage, 6GB of RAM, and a 3,300mAh battery. But the real gem of this phone are the cameras. 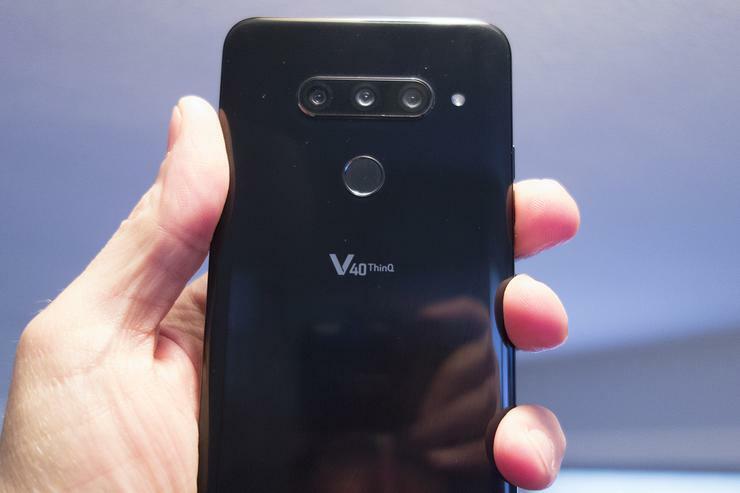 LG has added five cameras to the V40: two on the front and three on the back. If those specs don’t excite you, then this definitely will: you can take a shot with all three rear cameras at the same time, so you don’t have to decide whether to snap a standard, zoomed, or wide-angle shot. You’ll also get true selfie portraits, a killer manual mode, AI composition, and LG’s super bright camera, which lets it see things in the dark that other cameras can’t. Quite frankly, this is probably what the LG V40 should have cost. It’s a great phone for sure, but when compared to other $900-$1,000 phones, it doesn’t quite have the same level of appeal and premium craftsmanship. But at $750, it’s an easy recommendation. This purchase is also eligible for LG’s launch promotion, which gets you a free SanDisk Ultra 256GB microSDXC card, as well as a second year of warranty coverage just for registering.